When Gwen Taylor (right), from Church End, Redbourn, left school she went to work at Brocks’ Firework Factory at Hemel Hempstead, as did many other locals. 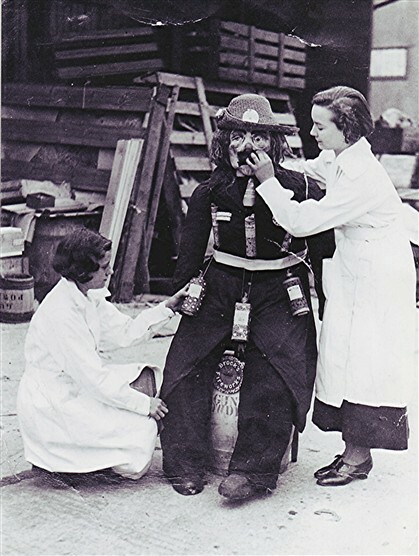 Here she is seen preparing a ‘guy’ for one of the firm’s many firework displays c.1935. Other name unknown.